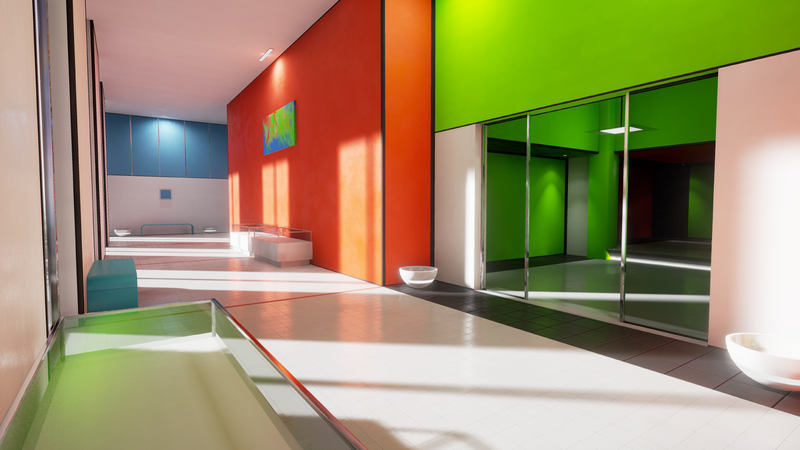 As a result of learning the basics of modelling, it became feasible to start creating things in Unreal Engine 4. 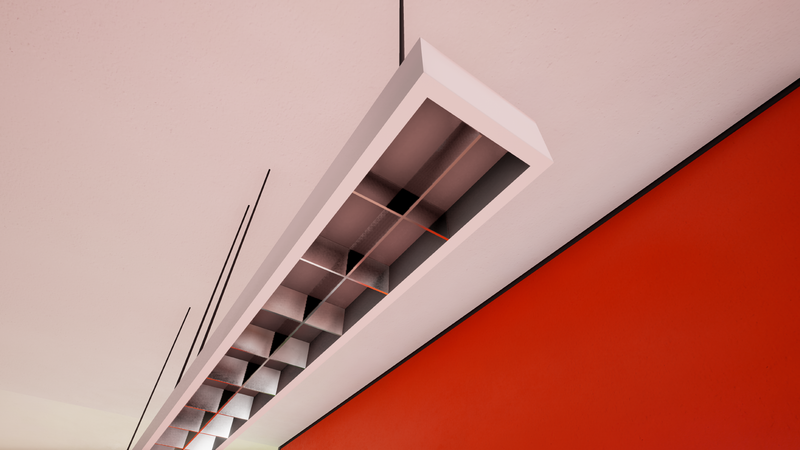 Since I had a texture set already made for a clean modernist style, I decided to test with that, I ended up greatly modifying the set however. 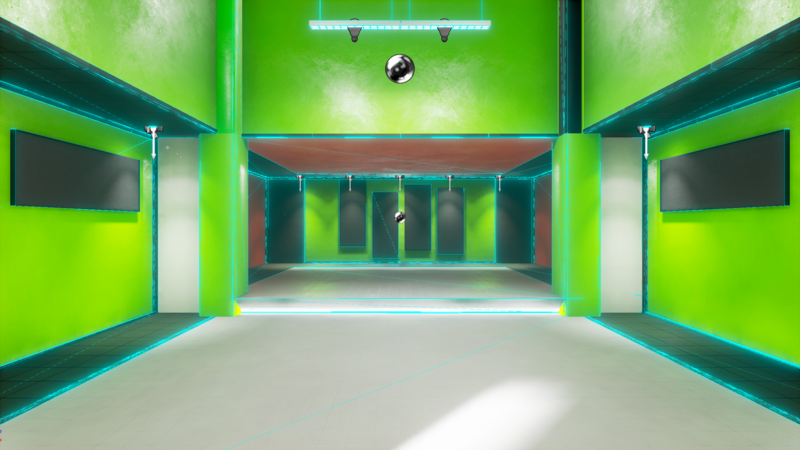 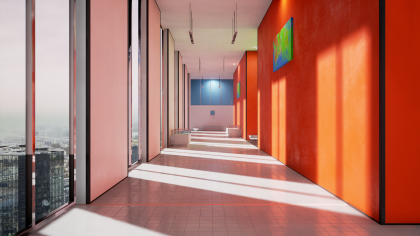 The visual style is heavily inspired from Mirror’s Edge, very saturated pallets with most detail in the normalmap, specular, and now roughness; The color itself is bright, and tone is derived from other materials (such as dark tile or marble). 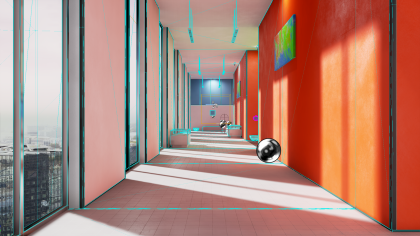 Color bleeds and gives the lighting “weight” in the world. 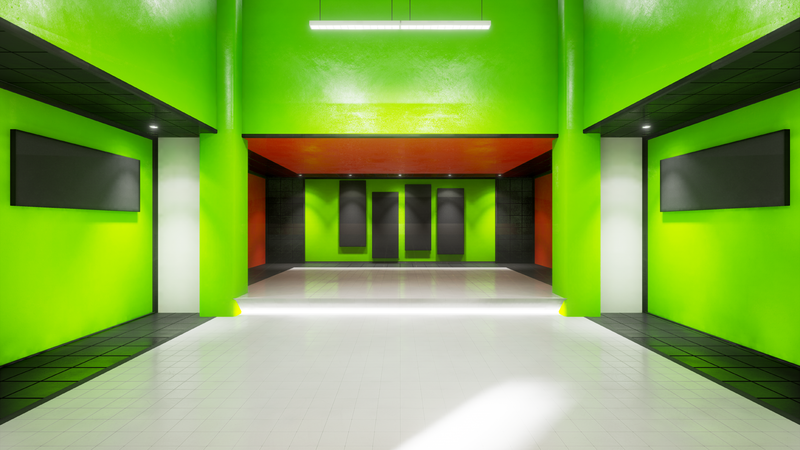 I’ve always liked the aesthetic, it’s so simple to do, yet produces such complex and vivid and surreal spaces. 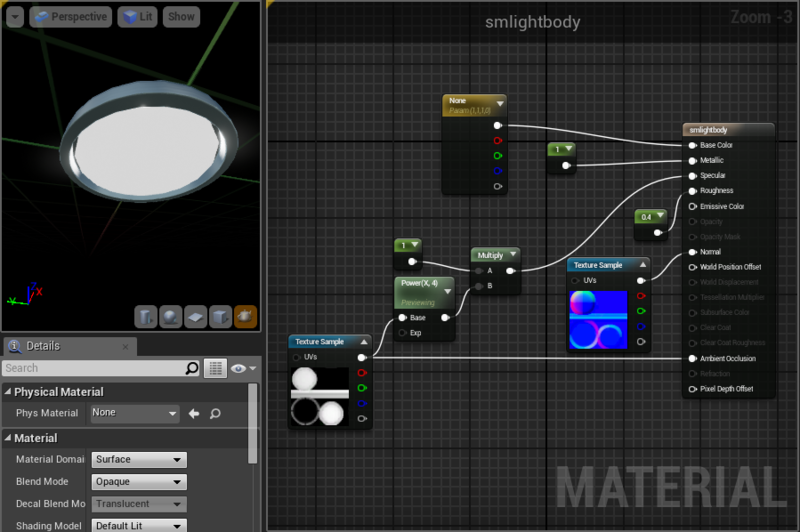 Since it’s not going to be viewed up close, it doesn’t have a normalmap, and is mostly flat-shaded to fit it’s style. 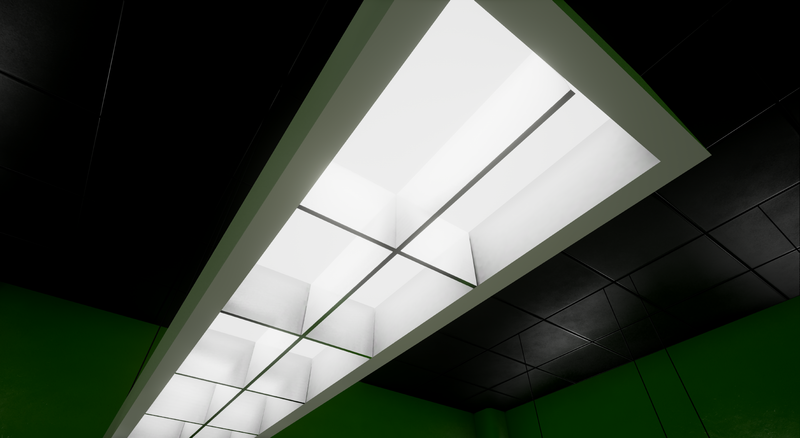 I baked out an Emissive map from Blender with Cycles, the whole thing uses 2 DXT1 texture. 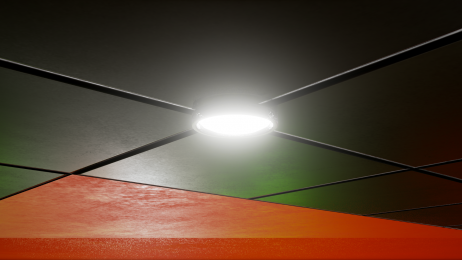 But if I was aiming for efficiency I would have 1/4’d the resolution, put the AO in red, the emissive in green, and imported it uncompressed. 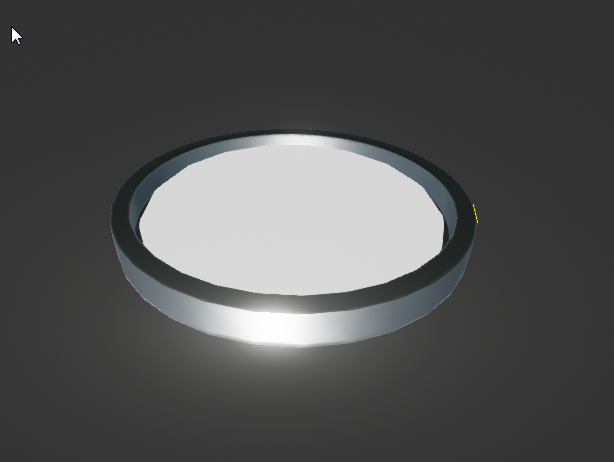 This one is actually hard surface modeled, thought it really didn’t need to be. 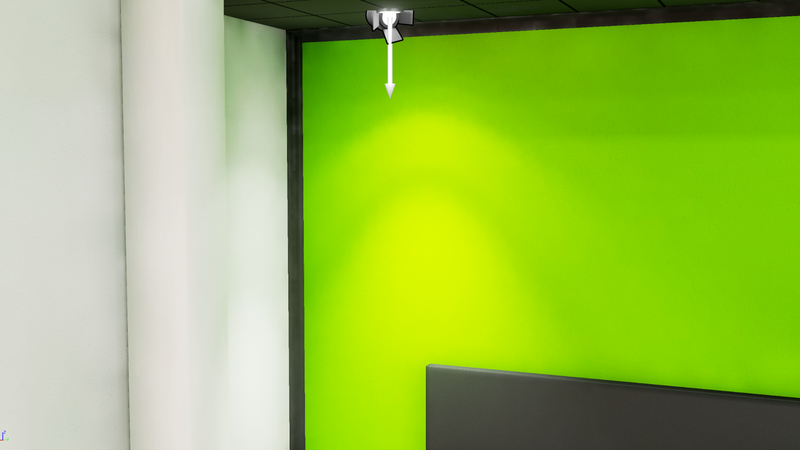 I used a static IES-textured spot light below it to give it a better defined light cone. 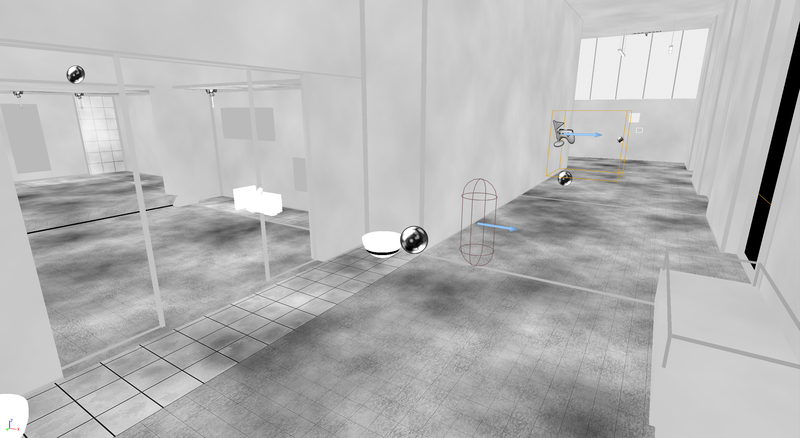 And that’s mostly it, basic scene held together with duct-tape, low poly objects, and some fancy materials.